... glad to be a part of this beautiful family. And I'd love to share just a little of myself with you guys. I am a young dude, very young who exploits various opportunities which suites me. I really tend to synchronize more with science, though I'm flexible enough to others so long it comes from within. Quite brief, you'll get to know more later. I really anticipate our growth and look towards the future. Cheers!! Welcome to Steem synick! Partiko is officially the fastest and most popular mobile app for Steem. Unlike other Steem apps, we take 0% cut of your earnings! You can also be rewarded with Partiko Points while using Partiko and exchange Partiko Points for upvotes! Welcome synick. I share your excitement in being part of this new social platform early as well. I hope I can make your stay here more exciting with my growing community of music followers on my blog. 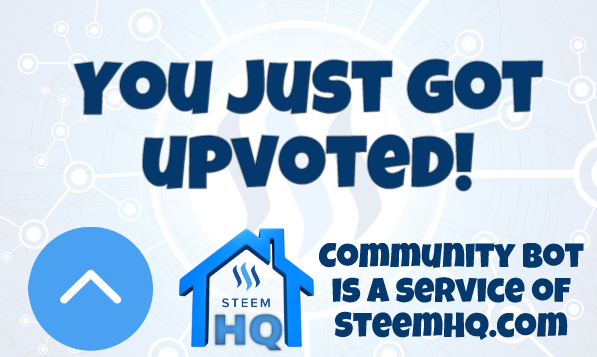 you just received a 12.30% upvote from @steemhq - Community Bot! Welcome on APPICS 🔥 happy to have you here !